All things related to the figures go here. Painting tips, tricks, help, questions, showcase, everything! 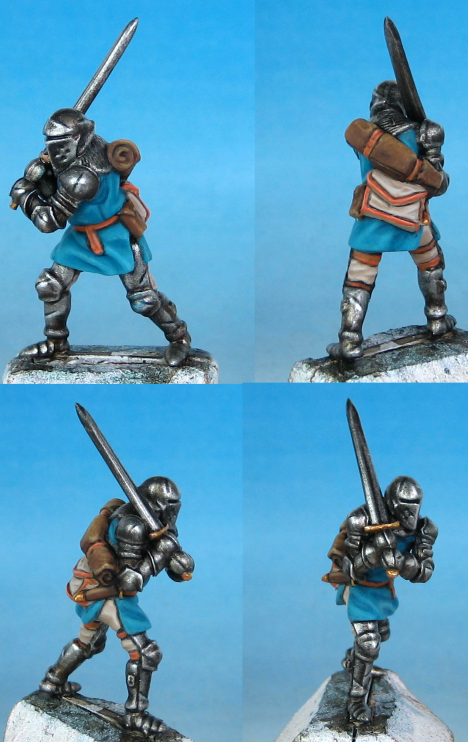 This mini was a blast to paint and has such character and personality -just look at him taking on the world! You can look up clear bases, but I would just give him some generic dirt and grass. Freaking awesome.. .I've been crap at keeping up with the board activity, but I'm going to be putting a real effort in.. I love the colour selection for the cloth, especially where the beige meets the steel on the legs.